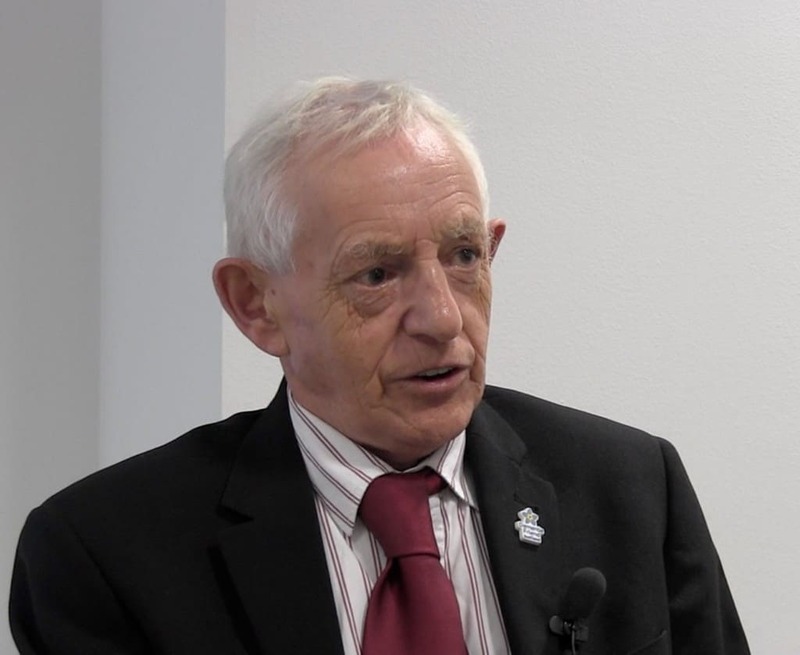 A MAN who has served as a Carer for the past 54 years is to step down from a key role on the Board responsible for Dumfries and Galloway’s health and social care. Jim McColm, aged 69, is now encouraging someone else to now step forward and serve on the Integration Joint Board (IJB), and to represent all 14,955 identified Carers who live in Dumfries and Galloway. Speaking about his role, Jim said: “I’ve gained an awful lot from being a member of the IJB over the past three years. “It’s been a fantastic honour to represent the 14,955 unpaid Carers we have living in the region, and I’ve gained a lot of confidence speaking up and out on their behalf. Jim, who lives in Stranraer, is a dual Carer – sometimes referred to as a ‘sandwich Carer’. He has cared for his severely disabled 54-year-old daughter through her entire life, and since 2003 has also been a Carer for his wife who has multiple health issues. Jim said: “Being an unpaid Carer can be incredibly challenging, especially when people are juggling busy lives with all their other responsibilities. “However, it’s likely that our society wouldn’t function without these unpaid Carers, and over the years I’ve realised the importance of Carers having a voice in the decision-making processes. “For me, that really began back in 2011 when I was invited to be on the working group to develop the first D&G Carers Strategy. “ How wrong was I? Jim has held a variety of roles, including chair of the UCI, Carer representative on the Clinical Care Governance Committee and Strategic Planning Group, and a member of the Coalition of Carers Scotland Group. He also attends the Carers Parliament in Edinburgh as Carer Representative. In 2014, the Scottish Government introduced legislation to integrate health and social care in Scotland – including the formation of Integration Joint Boards (IJBs). The IJB sets the direction for health and social care within the region, and brings together representatives of the NHS, Dumfries and Galloway Council, the independent sector and the third or voluntary sector which includes all of the region’s Carers. Services are then commissioned from partnership agencies by commissioning body Dumfries and Galloway Health and Social Care Partnership. Explaining how he came to sit on the IJB, Jim said: “I was nominated by the Carers Reference Group members to be the unpaid Carer Representative on the IJB when it was formed. “I had previously spent two years on the Putting You First Board as a Carer Representative, and I have a keen interest in promoting and supporting Carers across Dumfries and Galloway. “Through my seat on the IJB I’ve advised on Carer needs, and by having a voice I’ve helped to make sure those needs are understood and acted upon. “One of the biggest things I’ve been involved with during my time has been helping to ensure the implementation of the Carers (Scotland) Act in Dumfries and Galloway last year, and encouraging Carers to have their voice through the recent Carers Survey. “However, the work is not just all about Carers. “My role on the IJB sees me involved in almost every aspect of health and social care within the region, from looking at taking forward telehealth technology to the current work implementing changes in Primary Care which result from the new national GP contract. Jim is getting ready to step down within the next year, and says he plans to continue attending the Carers Reference Group and may join the Wigtownshire Locality Group as an unpaid Carer Representative.